The court granted defendants' motion to dismiss plaintiff's willful infringement claims for failure to state a claim. "The absence of any allegation of pre-filing knowledge of the patents is fatal to [plaintiff's] willful infringement claims. . . . [Plaintiff] maintains that the filing of this suit provides sufficient notice to support post-filing willful infringement claims. The Court disagrees. . . . Absent additional allegations, the filing of an infringement suit alone is insufficient to give rise to a post-filing willful infringement claim. . . . To maintain willful infringement claims, Touchscreen must demonstrate that [defendants] knew about the patents and acted despite an objectively high likelihood that its actions constituted infringement of a valid patent." Touchscreen Gestures, LLC v. Research In Motion Ltd., et. al., 6-12-cv-00263 (TXED March 27, 2013, Order) (Schneider, J.). The court denied defendant's motion to strike the report of plaintiff's damages expert and rejected the argument that disgorgement of profits was not an available remedy for contempt of a permanent injunction. "The cost of the license or [defendant's] estimated reasonable royalty is so minimal in comparison to the profits gained by violating the Court's Injunction Order (the profits are approximately 80 times as much as the proposed reasonably royalty figure) that [defendant] would have an economic incentive not to comply with the Court's order. . . . That is why courts continue to award disgorgement of profits as a remedy for civil contempt, even where such profit amounts to far greater than a reasonable royalty. . . . The plaintiff is simply returned to profits to which he or she was entitled all along." ePlus, Inc. v. Lawson Software, Inc., 3-09-cv-00620 (VAED March 26, 2013, Order) (Payne, J.). The ALJ denied respondents' motion to compel discovery previously withheld as privileged. "The undersigned finds that work product privilege was not waived when [complainant] used [a] Declaration to support its filing of the Complaint. Unlike the situation in [Certain Network Controllers and Prods. Containing Same, Inv. No. 337-TA-531] where the complainants waived privilege by relying on reverse engineering reports in contention interrogatories and expert reports, here [complainant] insists that the [declaration] has not and will not be used to prove infringement. Here, there is not an immediate and necessary relation between the alleged inequitable acts (i.e., the use of false pretenses and other improper means during the pre-filing investigation) and the equity sought in this Investigation (i.e., orders preventing infringing goods from entering the United States) because the pre-filing investigation is not being relied upon to prove infringement." Sintered Rare Earth Magnets, Methods of Making Same and Products Containing Same, 337-TA-855 (ITC March 24, 2013, Order) (Bullock, ALJ). The court granted two individual defendants' motion to dismiss plaintiff's infringement action for lack of personal jurisdiction. "Plaintiff highlights the personal nature of [defendants'] advertisement on their Kickstarter page, and notes that the only means of contacting the Defendants in connection with that solicitation was through [an individual defendant's] Facebook account. . . . Kickstarter.com, due to its online nature, is equally accessible in all states. Thus, even without considering the fiduciary shield, the Defendants’ advertising campaign on Kickstarter.com cannot, by itself, be the basis for this Court to exercise personal jurisdiction over the individual Defendants. Robinson v. Bartlow, et. al., 3-12-cv-00024 (VAWD March 22, 2013, Order) (Moon, J.). The court denied plaintiffs' motion to dismiss defendants' laches and equitable estoppel counterclaims for failure to state a claim. "Defendants allege two forms of prejudice, that they 'sold more [accused] products to a wider market due to the inexcusable delay of [Plaintiffs’] bringing suit than they would have if [Plaintiffs] had timely brought suit' (thus subjecting them to exposure to greater damages) and that they 'forewent legal action during the period of time within the statute of limitations for claims they could have pursued against [Plaintiffs].' . . . While Defendants were already selling [the accused software] prior to Plaintiffs’ obtaining the [patent-in-suit], Defendants . . . 'sold more [accused] products to a wider market' due to Plaintiffs’ silence. . . . Moreover . . . Defendants here 'forewent legal action during the period of time within the statute of limitations for claims they could have pursued against [Plaintiffs].'. . . Defendants’ foregoing their opportunity to pursue an interference proceeding, coupled with their increased sales of [the accused software] and concomitant increased infringement liability, suffice to show economic prejudice." Kane, et. al. v. Delong, et. al., 3-12-cv-05437 (CAND March 19, 2013, Order) (Chen, J.). The court sanctioned both defendant and defense counsel for presenting an unprepared 30(b)(6) witness. "[Defendant's 30(b)(6) witness] came to the deposition with typewritten answers to the topics — a script apparently prepared by [defendant's] Chinese counsel. [The witness] repeatedly expressed his misunderstanding that he would not have to answer any questions (or provide any answers) 'off script.'. . . [Defendant's] decision to send [him] to the deposition armed with little knowledge beyond the notes provided by [its Chinese counsel] is indefensible. To make matters worse, [defendant] seemed oblivious to the impropriety of scripting answers for a corporate deponent. . . . Any lawyer acting with a reasonable amount of skill and diligence would have recognized that [the witness] was not the right deponent and the fault for failing to adequately prepare [him] lies with [defendant] and its counsel. Given [the witness's] complete lack of familiarity with [defendant] this Court can only surmise that the decision to put [him] forward was strategic. . . . [C]ounsel’s conduct in the deposition was objectively reckless and so egregious that it amounted to bad faith." Aviva Sports, Inc. v. Fingerhut Direct Marketing, Inc., et. al., 0-09-cv-01091 (MND March 20, 2013, Order) (Mayeron, M.J.). The court granted plaintiffs' motion for a preliminary injunction to preclude defendants' sales of accused test strips and found that plaintiffs had established irreparable harm. "Defendants intend to sell their [accused strips] at one-half the price of Plaintiffs’ strips, and Defendants have projected $173.5 million in U.S. sales in the first full year. . . . Defendants’ pricing structure would also cause price erosion because Plaintiffs would likely need to cut the prices of their strips in order to compete, making it extremely difficult to raise prices back to the earlier level if and when [the accused strips] are removed from the market. . . . Plaintiffs’ argument is particularly compelling in this case because, given that the FDA has only approved [the accused strips] for use in Plaintiffs’ [meter], the parties are faced with a zero-sum game in which every sale made by Defendants is likely a sale lost by Plaintiffs." LifeScan Scotland, Ltd. v. Shasta Technologies, LLC, et. al., 5-11-cv-04494 (CAND March 19, 2013, Order) (Davila, J.). The court granted in part plaintiff's motion to set an ongoing royalty rate for sales of adjudicated phones and set the rate higher than the jury's implied rate ($0.355/phone) but lower than plaintiff's requested rate ($1.06/phone). "Typically applied to awards for past damages, the [Read Corp. v. Portec, Inc., 970 F.2d 816 (Fed. Cir. 1992)] factors can also provide guidance in determining whether and how much damages should be enhanced in light of Defendants’ ongoing willful infringement. The Court already considered the Read factors to address [defendant's] prior willful infringement and enhanced the jury verdict by 1.65x. . . . [Defendant] concedes it continued to sell an infringing model . . . post-verdict. . . . Considering [defendant's] post-verdict conduct and the Court’s prior enhancement of the jury verdict, the Court orders [defendant] to pay [plaintiff] an ongoing royalty of $.60 per phone on all adjudicated models." Fractus, S.A. v. Samsung Electronics Co., Ltd., et. al., 6-09-cv-00203 (TXED March 15, 2013, Order) (Davis, J.). Following a jury trial, the court found that plaintiffs acted with unclean hands by failing to disclose its open controller. "[T]he indirect evidence provides strong support for inferring bad faith: [plaintiff's] initial failure to list [the] Controller [in discovery] despite its representation that the list contained all [of its] controllers sold between 1980 and 2002 . . . and, most telling, the removal of software related to [that] Controller from the list of controllers without adequate (or indeed any) explanation. . . . And then there is [plaintiff's] own aggressive litigation style here. While not crossing over into sharp practice (indeed, it appears [plaintiff] and its counsel were careful to walk up to, but not cross, ethical lines), [plaintiff's] discovery practices here left little to chance, leaving a reasonable inference that its counsel was quietly-calculating in carving out so-called 'soft controllers' from other industrial controllers." Rockwell Automation, Inc., et. al. v. WAGO Corporation, et. al., 3-10-cv-00718 (WIWD March 15, 2013, Order) (Conley, J.). 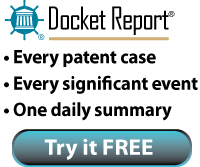 The court denied defendants' motions in two cases for expedited discovery and trial on their counterclaims to set a FRAND rate for three patents-in-suit. "The gist of the request is that each Defendant will be harmed if its products are excluded from the U.S. by the lTC, that the ITC cannot set a FRAND rate, and that the Plaintiff will not offer it a FRAND rate although it has an obligation to do so. . . . It does not seem to me like a very practicable idea to try to race to a partial judgment here so that each defendant will be in a better position in the ITC litigation. Therefore, I will deny the motion for expedited discovery and trial in the two cases." InterDigital Communications Inc., et. al. v. Huawei Technologies Co., Ltd., et. al., 1-13-cv-00008 (DED March 14, 2013, Order) (Andrews, J.). The court granted defendants' motion for summary judgment of noninfringement as to plaintiff's network system patents. "[Defendant] rests its argument on the fact that [plaintiff's] expert did not consider the code for the actual accused products . . . and as a result had to extrapolate as to how the [accused] products work from generalities present in the operating code that both products use. That 'high level' assumption . . . cannot carry [plaintiff's] burden in opposing summary judgment. . . . [T]he Court agrees and rejects [plaintiff's] attempt to shift its own burden – to show a material question of fact supporting infringement in this technically complex case with highly specific claim limitations – onto [defendant]." Implicit Networks, Inc. v. F5 Networks, Inc., 3-10-cv-03365 (CAND March 13, 2013, Order) (Illston, J.). Virginia Innovation Sciences, Inc. v. Samsung Electronics Co., Ltd., et. al., 2-12-cv-00548 (VAED March 6, 2013, Order) (Davis, J.). The court "[s]omewhat reluctantly" denied plaintiff's motion to sanction defendant for threats to file reexamination petitions, make litigation as painful as possible, and "take action against" plaintiff's counsel. Following the threats, defendant initiated reexamination petitions as to patents owned by an unrelated party represented by plaintiff's counsel. "[Plaintiff] characterizes [defendant's] attack on a . . . client uninvolved in this case as an implicit threat to attack similarly other [clients represented by plaintiff's counsel] in an effort to pressure [plaintiff's counsel] to abandon [plaintiff's] case against [defendant] and to deter [counsel], or any other law firm, from representing [plaintiff] against [defendant]. . . . [A] strong inference can be drawn from the record that [defendant] chose to mount an assault on [plaintiff] and [its counsel] by filing the patent reexaminations and did so precisely because they thought such conduct constituted petitioning activity, thereby shielding [defendant] from sanctions for such acts. . . . [Defendant] has failed to advance any colorable good faith explanation for seeking reexamination of the [unrelated client's] patent. . . . While [defendant] and [its counsel] appear to have engaged in sharp practice that falls far short of model professional conduct, given the First Amendment implications of sanctioning a party engaged in petitioning activity, the Constitution shields [them] from sanction at this time. . . . [N]othing in this order precludes a request for sanctions should it become appropriate before the USPTO." Vasudevan Software, Inc. v. MicroStrategy, Inc., 3-11-cv-06637 (CAND March 11, 2013, Order) (Seeborg, J.). The court denied defendant's motion to exclude plaintiff's conjoint market research surveys. "[Plaintiff's expert] describes conjoint analysis as a type of survey or market research, which, at the most general level, conceptualizes products as bundles of attributes, treating price as an attribute. Conjoint analysis uses customer surveys to determine 'values' for each attribute. By choosing among multiple bundles of attributes, survey participants make implicit tradeoffs one would make in real-world purchasing decisions. . . . According to [plaintiff's expert], studies have validated that this implicit tradeoff is more reliable than asking consumers directly what they would pay for a specific feature. . . . [Defendant's] criticism of the survey designs is more appropriate for consideration by a jury, rather than the Court on a Daubert motion. The Ninth Circuit has stated that '[u]nlike novel scientific theories, a jury should be able to determine whether asserted technical deficiencies undermine a survey’s probative value.'. . . [T]he Court recognizes the oddity in finding such a high valuation of each individual product feature. Nevertheless, the literature on conjoint analysis condones testing six or fewer variables to produce results with a better predictive value, and the Court will not exclude the [expert's] surveys for failing to depart from this accepted methodology." TV Interactive Data Corporation v. Sony Corporation, et. al., 3-10-cv-00475 (CAND March 1, 2013, Order) (Spero, M.J.). The court denied plaintiff's motion to disqualify one of defendant's law firms because defendant's attorney previously represented plaintiff on matters that were not substantially related to this action. "[Counsel] did not work on the preparation or prosecution of the [patent-in-suit] and there is no allegation that he ever reviewed, analyzed, or advised Plaintiff about [that] patent. Although [he] advised Plaintiff about other coaxial cable connecter patents and worked with the inventor of the [patent-in-suit], Plaintiff has failed to demonstrate that [he] gained anything more than a general knowledge of Plaintiff’s policies and practices during his two-year representation of Plaintiff on certain patent-related matters." PCT International, Inc. v. Holland Electronics LLC, 2-12-cv-01797 (AZD March 7, 2013, Order) (Teilborg, J.). The court denied defendants' motion for summary judgment that plaintiff's hair growth patent, which encompassed over ten sextillion compounds, was invalid for lack of enablement. "[T]he fact that the claims cover a 'broad genus of compounds' is not, in itself, sufficient to hold that a patent is not enabled. . . . Further, although [defendant] repeatedly argues that any testing would require extensive time and money despite unpredictable results, neither the time nor money that may be required to complete testing necessitates a finding of undue experimentation. . . . The [patent-in-suit's] specification teaches the use of at least some of the compounds, describes several compositions in different forms that are made up of at least some of the claimed compounds, and describes methods for administration to a mammal, including details on dosage. Such factors recently justified a finding of validity in a case involving the validity of a prior art . . . which disclosed an even broader genus of compounds than those claimed in the [patent-in-suit]." Allergan, Inc. v. Photomedex, Inc., et. al., 8-07-cv-01316 (CACD February 28, 2013, Order) (Selna, J.). The court granted in part plaintiff's motion for judgment as a matter of law reversing the jury's verdict of invalidity based on obviousness as to six claims across two of Plaintiff's data storage patents. "[Defendant's expert] attempted to testify that the combination of the Tanaka reference with the knowledge of the person of ordinary skill in the art rendered all asserted claims of [a patent-in-suit] invalid. A close reading of the transcript, however, leads to the conclusion that this 'combination' of prior art is little more than an attempt to assert the Tanaka reference as anticipating. . . . Although he gave lip service to the idea of combining Tanaka with the knowledge known to a POSITA, nowhere in his testimony does he actually point out the specific gaps in the Tanaka reference that would have to be filled by the POSITA’s knowledge. . . . [W]hen asked to ‘sum up with respect to the [patent-in-suit] in light of Tanaka and the knowledge of a person of ordinary skill,’ [the expert] responds that ‘Tanaka discloses everything in the asserted claims and renders those claims invalid.’ [The expert] does not say that ‘Tanaka in combination with the POSITA’ renders the claims invalid; rather, he says that Tanaka by itself renders the claims invalid. This is anticipation, not obviousness. Anticipation with respect to the Tanaka reference was not claimed by [defendant], and was not submitted to the jury. [Defendant] cannot sneak an invalidating reference through the back door when its failure to comply with the rules concerning invalidity contentions and disclosures would bar the front door to that reference." Realtime Data, LLC d/b/a IXO v. MetroPCS Texas, LLC, et. al., 6-10-cv-00493 (TXED March 4, 2013, Order) (Clark, J.). The court granted defendant's motion to disqualify plaintiff's counsel who had been engaged to provide legal opinions to defendant on several occasions throughout the past six years. "[F]ive months subsequent to the delivery of the most recent . . . opinion letter, [plaintiff] engaged [defendant's opinion counsel] to file suit against [defendant]. . . . [Plaintiff] argues that there was no active attorney-client relationship between [defendant] and [defense counsel] at the time it filed suit. . . . The determination of whether an attorney-client relationship exists . . . depends on the reasonableness of the client's belief regarding the status of the relationship. . . . Here, the six year history between [defendant] and [counsel] was sufficient to instill in [defendant] a reasonable belief that it would not be sued by [counsel], at least absent some sort of prior notice that [counsel] would no longer be available to serve as [defendant's] opinion counsel. . . . The Court is aware of the limited nature of the opinion counsel role. Nevertheless, opinion counsel is still counsel, complete with fiduciary duties to clients and professional obligations under the Model Rules. . . . The fact that the law firm, however, may freely choose to end the relationship and refuse further business does not mean it is free to sue its client prior to making it clear that the relationship is over. It is the law firm's responsibility to ensure there are no questions regarding the status of its current client relationships." Parallel Iron LLC v. Adobe Systems Incorporated, 1-12-cv-00874 (DED March 4, 2013, Order) (Andrews, J.). The court granted in part defendants' motion for new trial regarding damages for an accused product because the jury relied on a legally impermissible theory. "[I]t is apparent that the jury awarded 40% of [plaintiff's expert’s] calculation of [defendant's] profits for a wide range of products, and in some cases, added the same expert’s calculation for [plaintiff's] lost profits. Moreover, it is clear that for several products, the jury awarded exactly half of the reasonable royalty award proposed by [plaintiff's expert]. . . . [T]hese numbers are 'to the dollar;' it is thus quite apparent how the jury arrived at them. . . . As the Court instructed the jury, infringer's profits are not a legally permissible remedy for utility patent infringement. . . . [I]t is apparent that the jury failed to follow the Court’s instructions on the law, and awarded damages [for one product] based on a legally impermissible theory. This award cannot stand. . . . Accordingly, the Court hereby orders a new trial on damages for [that product]." Apple Inc. v. Samsung Electronics Co. Ltd., et. al., 5-11-cv-01846 (CAND March 1, 2013, Order) (Koh, J.). The court granted plaintiff's motion for a preliminary injunction to preclude defendant from continuing to sell its accused hover discs because plaintiff established irreparable harm. "[Plaintiff] testified that he has been seeking to utilize his Patents for a re-launch of the HoverDisc or a similar toy with other toy manufacturers, but the inability to demonstrate that he can offer an exclusive license for the Patents is preventing him from entering into any deals. [Plaintiff] also testified that [defendant] recently has been producing HoverDiscs of poor quality, thereby diminishing the potential value of [plaintiff's] Patents. . . . To the extent [defendant] incurs damages from ceasing its manufacturing and marketing efforts for the HoverDisc, that harm is self-inflicted and is the natural consequence of its infringing activity. [Defendant] acted without a valid license to exploit the Patents . . . even after [plaintiff] appropriately challenged [defendant's] right to exploit the Patents." Anderson v. TOL, Inc., 3-12-cv-01312 (TNMD February 28, 2013, Order) (Trauger, J. ).